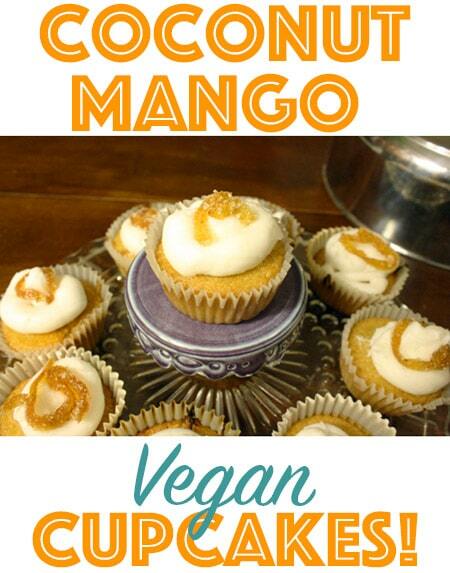 Score yourself some candied or dried mango, and make a batch of these tropical, vegan coconut mango cupcakes! I bought a little container of dried, candied mango a few weeks ago and it’s been languishing in the pantry since then, begging to be used in some sort of tasty baked good. I’m not sure how it took me that long to come up with a solution: CUPCAKES! 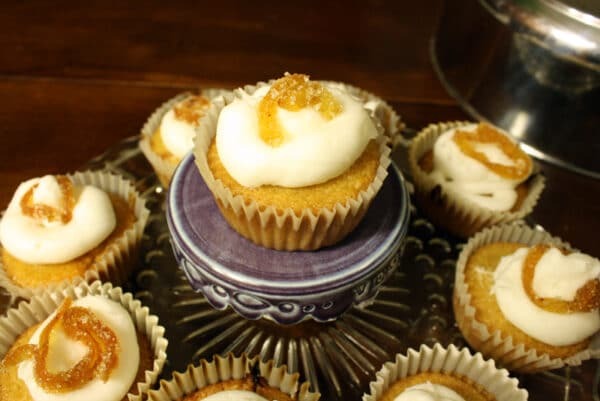 Just like the Coconut Lime Cupcakes with Molasses Rum Buttercream Frosting, these are based on the golden vanilla cupcakes from Vegan Cupcakes Take Over the World. I may or may not have eaten three unfrosted cupcakes straight out of the oven and two more when I served them during LOST night. Adding the mango to the batter increased the volume, so I ended up with around 15 cupcakes instead of 12. So really, it’s like I had four cupcakes that day, not five. Right? 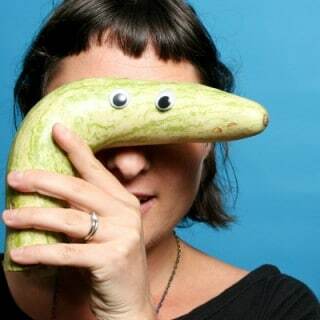 …Right! Whisk the coconut milk and the vinegar together and let sit a few minutes until curdled. Dry ingredients: Stir together the flour, cornstarch, baking powder, baking soda and salt into a large bowl and mix. Wet ingredients: In a separate large bowl, cream the margarine and sugar together just until they’re combined. Beat in coconut milk mixture and coconut extract. Add the wet ingredients to the dry, then fold in the mango. Stir until well combined. Pour the mixture into your muffin pan, filling each cup 2/3 of the way. Bake for 20-22 minutes, until a toothpick inserted comes out clean. Set your cupcakes aside to cool while you make the frosting. When your cupcakes are totally cooled, you can spread or pipe on the frosting. Beat together the shortening and margarine, then add the powdered sugar by the half cup until it’s all incorporated. At this point, you should have a very stiff mixture. Add the coconut milk by the tablespoon, and keep beating until you have a nice, fluffy frosting. Ooh that sounds delicious! Are they vanilla with chunks of loquat mixed in? Lately I have been making lots of loquat cupcakes from my mother’s massive and prolific tree.